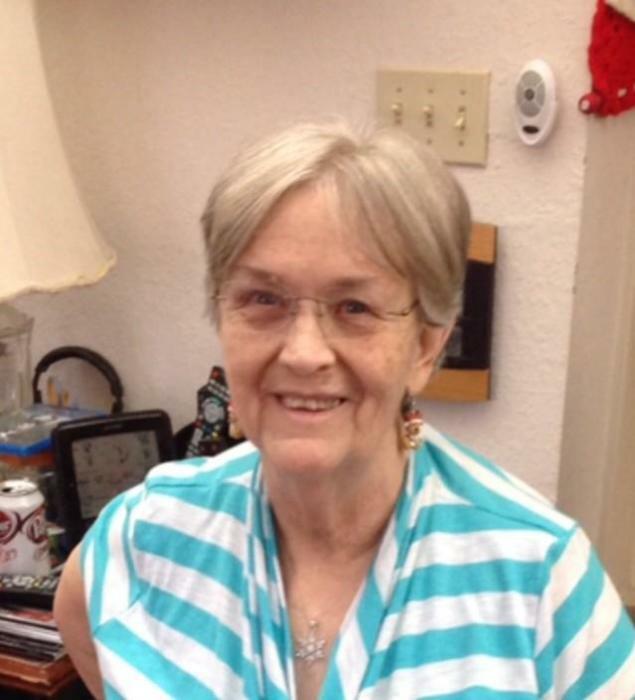 Conneda Hobelmann, 70 of Bella Vista passed away Friday, February 1, 2019 at Circle of Life Hospice in Bentonville. She was born August 7, 1948 to Alvin and Ruby Beck. She loved crocheting, painting, fishing and spending time with family. She was preceded in death by her parents; brothers, Charles Beck, Roland Beck and Eddie Beck and sisters, Lillian Beck and Shirley Beck. Survivors include her husband, Greg Hobelmann; children, Connie Taylor and husband Danny, Ruby Lawrence, April Hood and husband Kory, Andrew Hobelmann and wife Megan, Aaron Hull; sisters, Mary Summers, Ruth Evans and Tonya Paul and husband Jerry; brother, Ronnie Beck and wife Donna: grandchildren, Jeremy Meadors, Cory Meadors and wife Alisa, Tabetha Collins and husband Chris, Koltyn Hood, Jacksyn Hood, Jordyn Hood, Emma Hobelmann, Emery Hobelmann, Melisa Hull, Garrett Hull, Korbin Hull and Jupiter Franklin and several nieces and nephews. The family will receive friends Tuesday, February 5, 2019 from 6-8PM at the Gospel Light Baptist Church, 1001 Price Ln, Rogers. The funeral service will be held Wednesday at 11AM with Pastor Noel Cwenar officiating. In lieu of flowers donations may be made to Highlands oncology group, 3232 N. North Hills Blvd, Fayetteville, AR 72703. Funeral services will be under the direction of Madison County Funeral Service of Huntsville. Please visit www.madisoncountyfuneralservice.com to leave the family an online condolence.